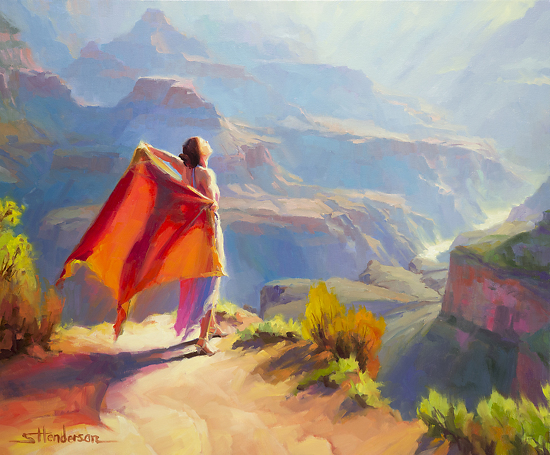 The Canyon Nymph, whom we met initially in Eyrie, returns as The Spirit of the Canyon, original oil painting on canvas — 30 x 36 — by Steve Henderson of Steve Henderson Fine Art. Ebullient, exuberant, free — the elusive being flits from rock to path to wherever we encounter her next. It is morning, in a high, beautiful place overlooking a canyon of grand, majestic proportions. A young woman — sylph-like — embraces the warmth and promise of a new day. 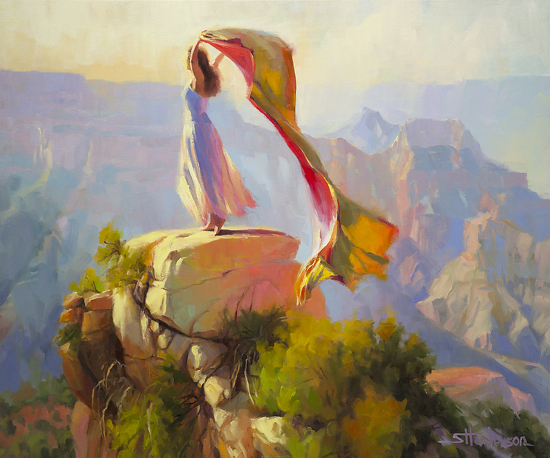 Eyrie — origninal oil on canvas, 30 x 36, by Steve Henderson of Steve Henderson Fine Art. 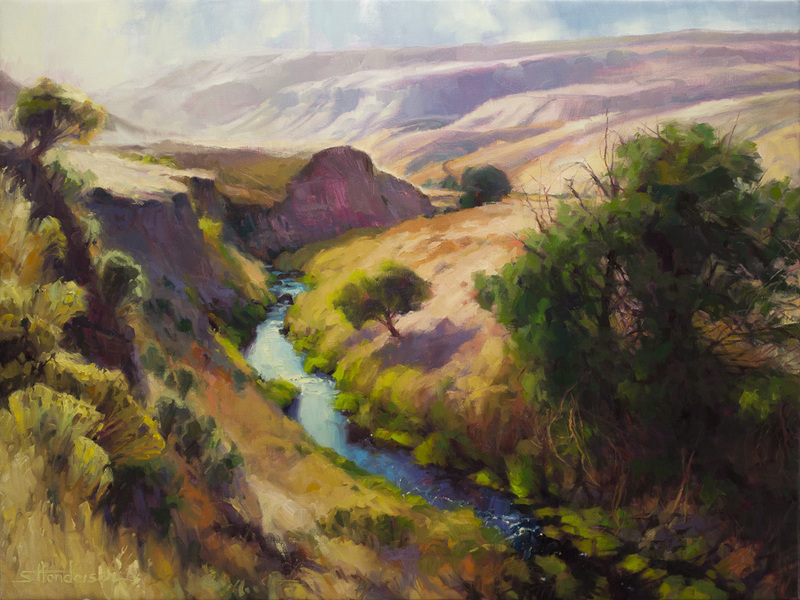 Save the Date: July 2012 Steve will present a solo show of his latest work at the Lawrence Gallery, Sheridan, OR. The Southwest? or the Northwest? The Pataha (Puh-TAH-Haw) is a hidden canyon region in Washington State. While frequently associated with wet and rainy Seattle, Washington encompasses landscapes of many hues and varieties, including everything from mountains to meadows, canyons to coast. The Pataha is available as an original oil painting (30 x 40), an original miniature study (5 x 7), as well as in prints of various sizes and price ranges, beginning at $70.